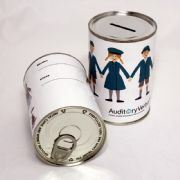 A tin money box with a customised label for your savings-themed promotion! 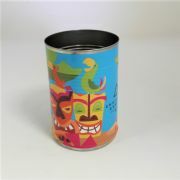 A durable and reusable money saving tin, it requires no assembly and allows quick and simple access to the contents. Your exclusive full colour paper wraparound label design on this promotional product instantly grabs interest and offers a striking brand presence. 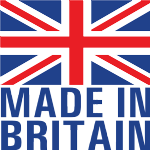 Please click the Label Template link below for the full artwork specification. Buy with confidence! 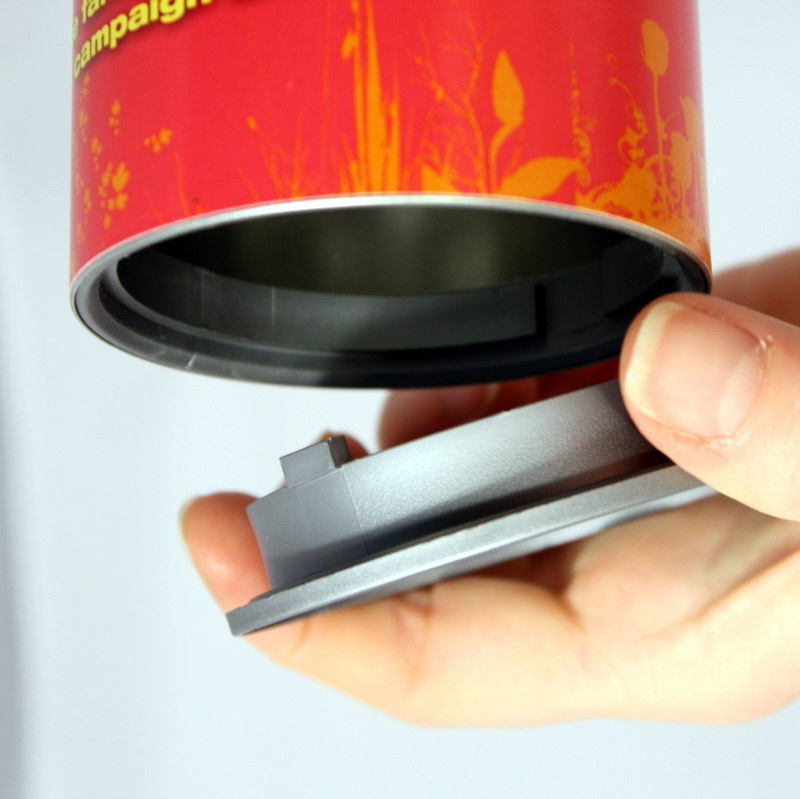 These high-quality savings cans are made in the UK, and your order will receive our personal attention. 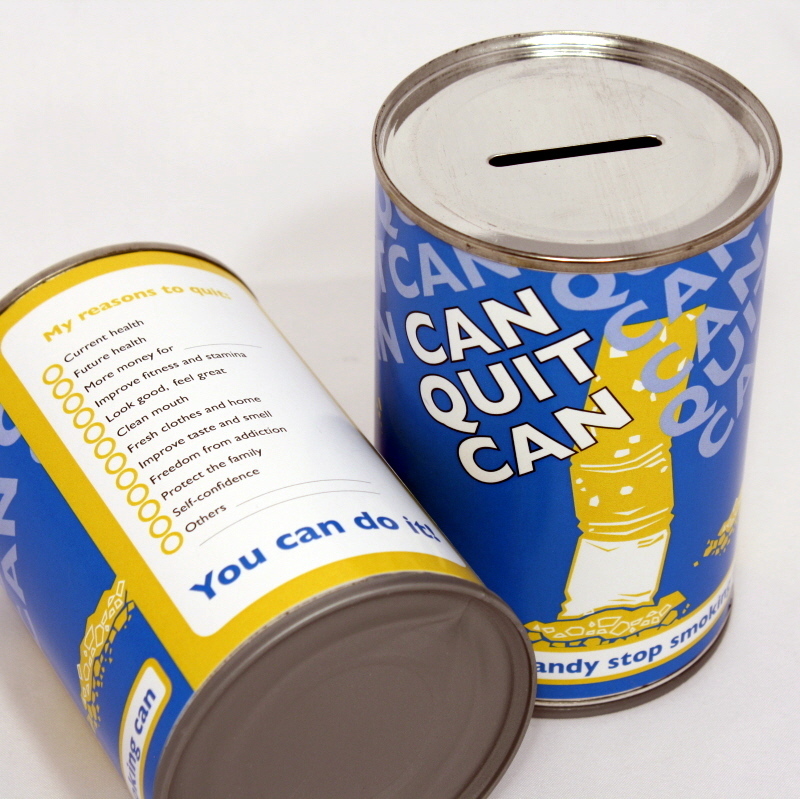 The minimum order quantity for branded tin cans is 24. The price list shows the prices per box of 24 cans with the price breaks. The more you order, the better the price. Click 'add to cart', enter your required quantity and check out. 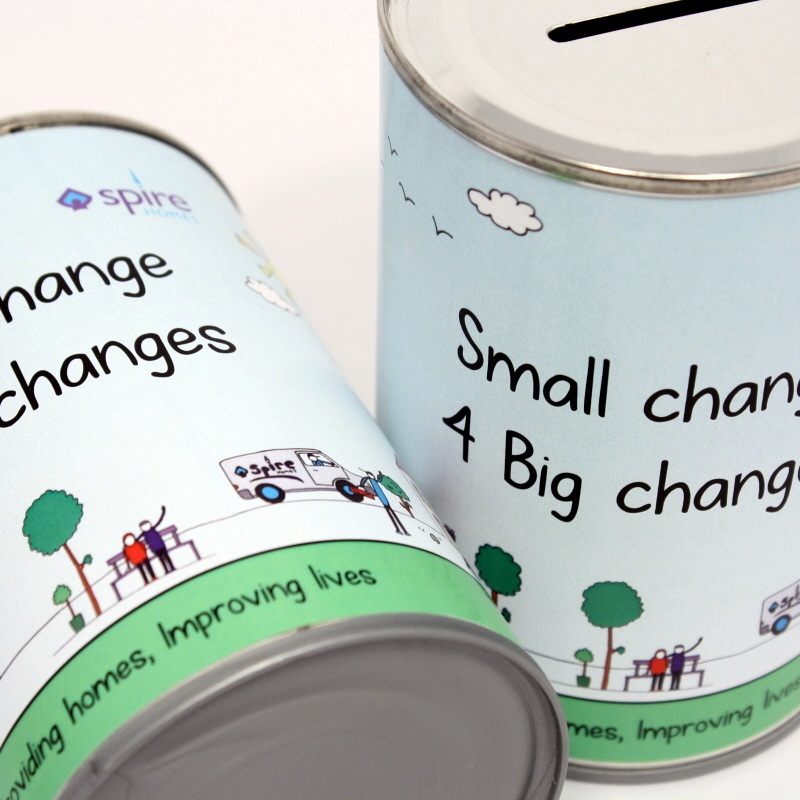 Use our label template for savings money box as a guide for the printable area and artwork specification. Send your print ready artwork to enquiries@promocan.co.uk and we do the rest! 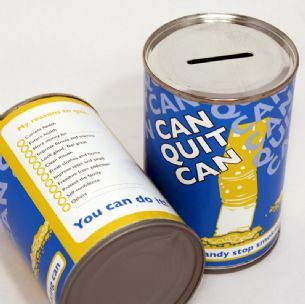 Distributor members of BPMA and Promota please enquire about discounts on orders of 500+ cans. Standard delivery is 10 working days from receipt of your order and artwork, but please do call us if you have an urgent requirement.